Just about everybody knows about eBay. Every day, millions of people log on to browse through auctions in search of bargains. Tens of thousands of people make extra money with eBay and are able to get rid of their unwanted items, and plenty of people make a good living doing nothing more than buying and selling on eBay. You can use what has become the world's largest online auction to raise money for your organization. In fact, eBay has already thought of the idea for you, and there is a separate Charity area called “Giving Works”. You don't have to be a big international charity to participate, even small, local organizations can take advantage of this. The program is available to any non-profit organization that is IRS-approved. Take a moment to check it out. Just open up eBay, and click on the “Giving Works” link on the left-hand side of the home page. There's always a wide range of organizations and a good selections of products being offered, from autographed footballs, to weekend trips at exotic resorts. Everything you need to know to get started is right there, and it's easier than you might imagine. The first thing to do is get listed in the “Giving Works” directory, which is done easily by following the links to register through a third-party organization called MissionFish. After you do that, there are two ways to raise money, either through direct selling, or community selling. Direct selling simply means that your organization sells items directly on eBay. Community selling allows anybody that sells on eBay, whether they are a non-profit or not, to donate the proceeds of their own auctions to your organization. There are several different fees that are involved in selling on eBay, but fortunately, you get a break. When someone chooses to donate the proceeds of one of their auctions to your organization, eBay waives the insertion fee and final value fee. 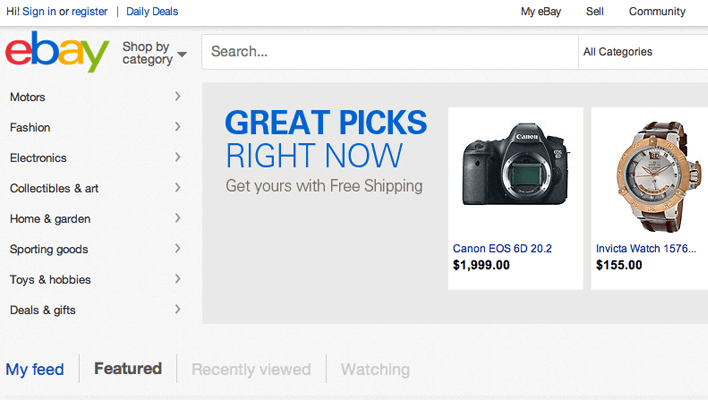 You're not limited to individual auctions, your organization can even open up its own eBay store. Regardless, when you sell items through this special eBay program, it is marked with a special icon that indicates to buyers that the proceeds go to a benevolent organization. This makes your listings a bit more visible, and means that your chances of people finding your product amidst the millions of others is a little bit better than average. Once you've gotten yourself set up on eBay, you have to come up with something to auction. Organizations can do this a number of ways. Your members may have items that they would be willing to donate. Alternately, you may be able to solicit local businesses for donations of goods or services, which you can auction off. Be sure to take good, clear digital pictures of each item, because you will upload this picture onto the eBay listing. Take time to write a concise description of what it is, and the fact that the proceeds benefit your group. People from all over the country will have an opportunity to find your item through the standard search function available on eBay, so even without doing anything, you may make some sales. But, like any type of business, you have to do some promotion and let people know it's there. Part of promotion is just creating an attractive listing that will get attention. Take time to make an attractively-worded listing, and make that item sound special. Take more than one picture, to show it at different angles. In your picture, avoid having too much white space or distracting backgrounds. A plain background is best. Use a plain black cloth for light colored items, or a white cloth for dark colored items as a backdrop. A good way to get additional attention is to create your own eBay store, and this will give you a greater opportunity to explain the mission and good works of your group. Make sure that all your members are aware of the auction, by promoting it in your newsletter, fliers, and regular announcements. Many people that are aware of your group may already shop on eBay on a regular basis, since they know you are there, they are very likely to check out what you have to offer.